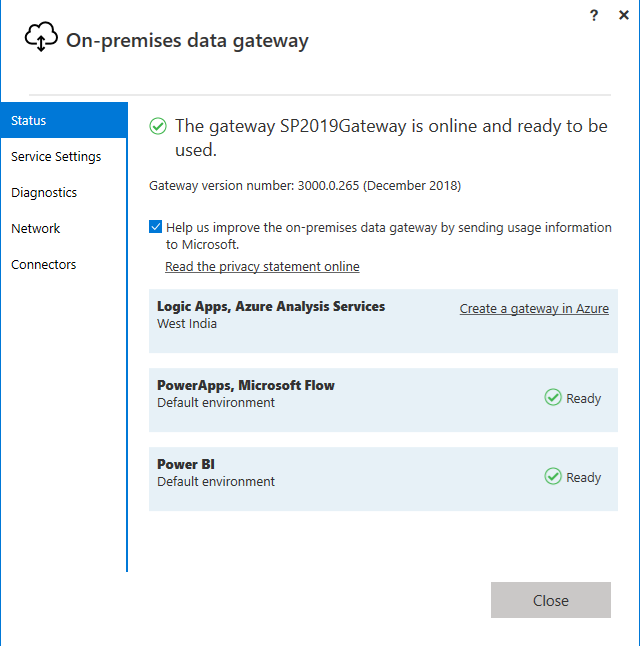 In this article, we will explore how we can integrate Power BI reporting with SharePoint Server 2019 on-premises using the gateway. 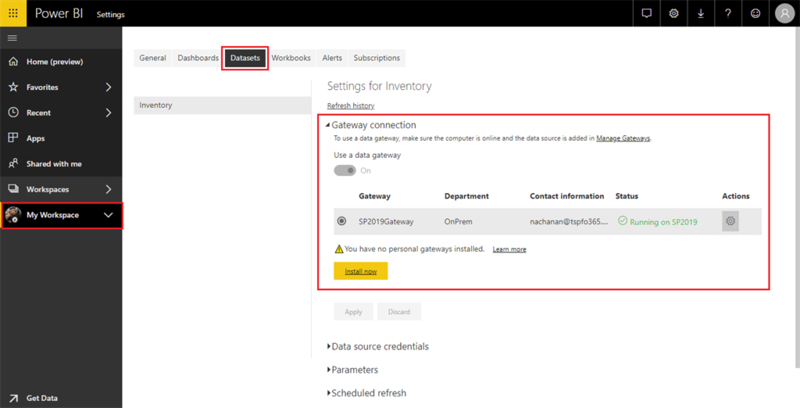 SharePoint 2019 supports Power BI reporting, which is one of the rich cloud features made available in on-premises. 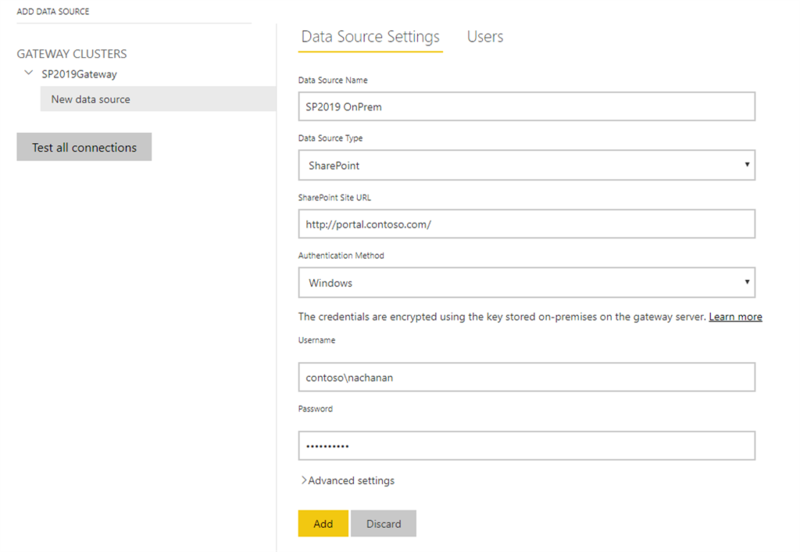 The introduction of Power BI to SharePoint 2019 on-premises is one of the major enhancements in BI. 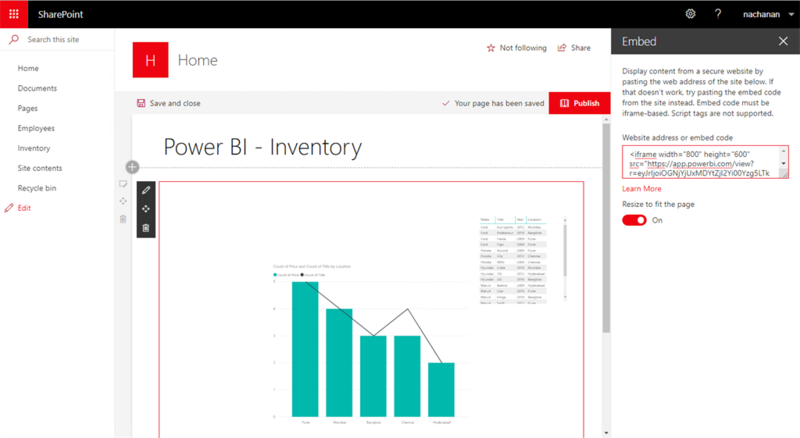 Power BI helps to turn unrelated sources of data into interactive insights. 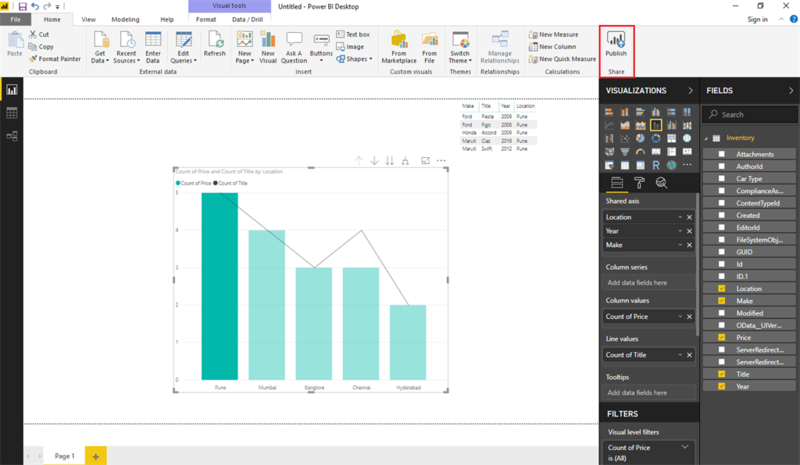 Power BI allows us to connect to various data sources and create interactive reports. Power BI consist of a Windows desktop application called Power BI desktop and an online SAAS service called Power BI service. 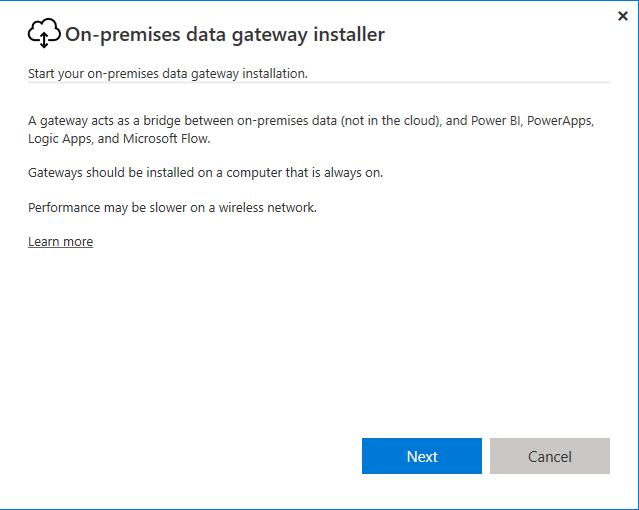 On-premises gateways allow us to connect to on-premises data sources without the need to move the data. It provides flexibility to query large datasets. 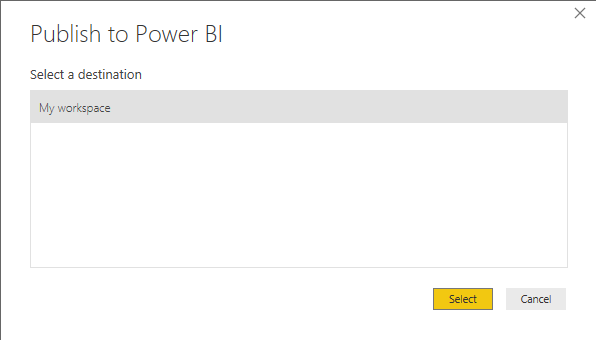 Login to Power BI site. The sign-in account could be an Office 365 account (either a work account or a school account). Click Download > Data Gateway. PowerBIGatewayInstaller.exe will be downloaded to your system. Double click the file to start the installation wizard. Choose the type of gateway you need. Click Next. Provide the email address to use with the gateway. Click “Sign in”. The sign-in account could be an Office 365 account (either a work account or a school account). Register a new gateway or migrate an existing gateway. Click Next. 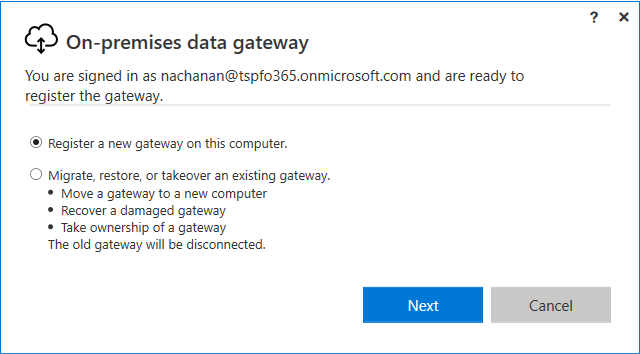 Specify the gateway name and recovery key. Optionally you may change the region. Click "Configure". 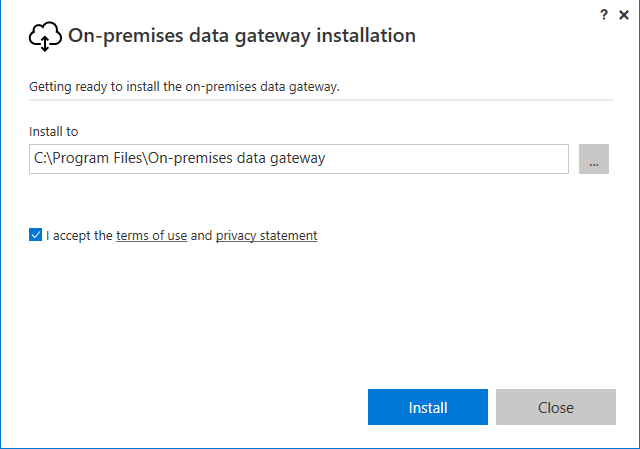 Once the gateway is configured, we can make use of it to connect to on-premises data sources. 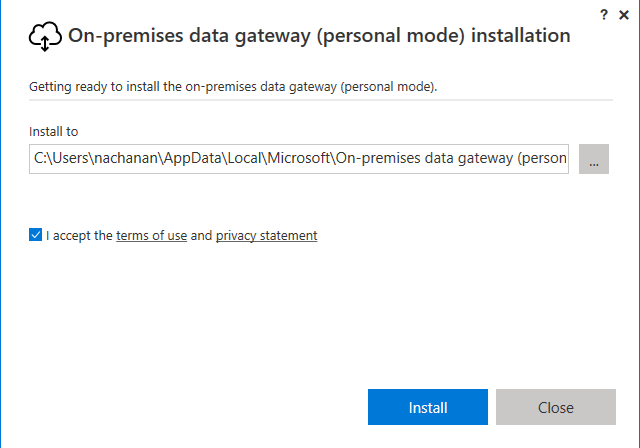 The personal mode of gateway works only with Power BI. 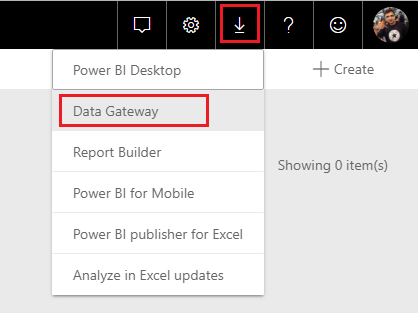 In the Power BI site, click Settings > Manage gateways. All available gateways are listed here. 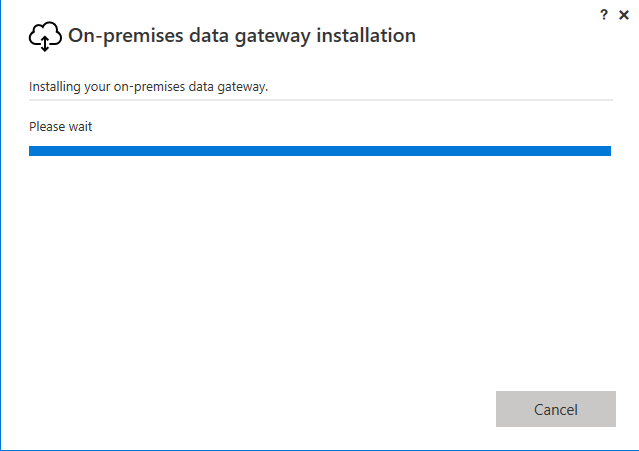 Click “Add data sources to use the gateway”. 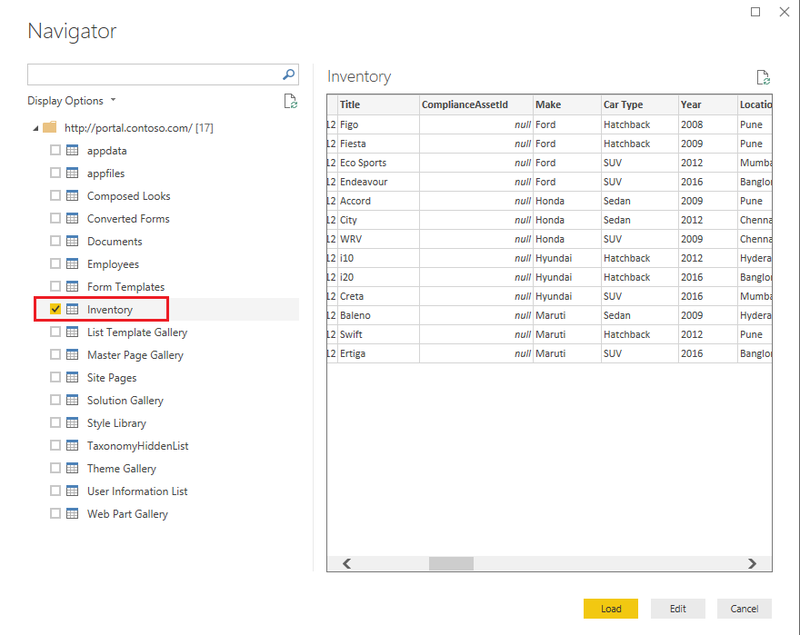 Select Data Source Type as SharePoint. 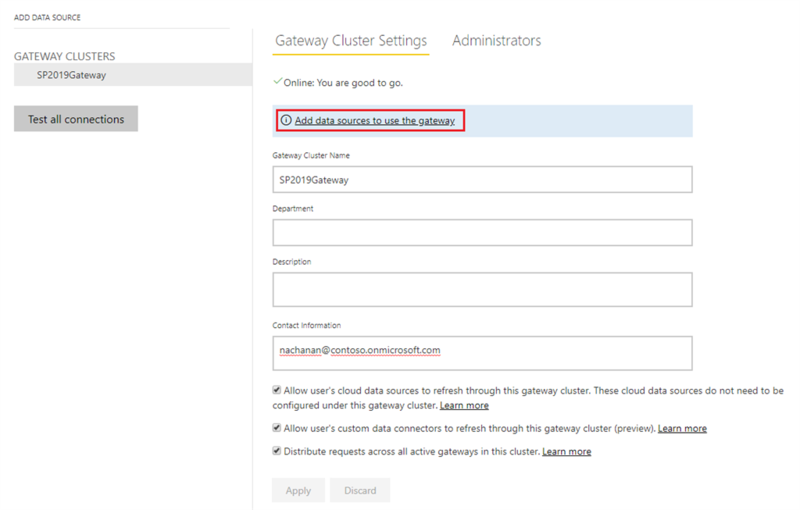 Specify the SharePoint site URL to get the data from. Specify the authentication method. 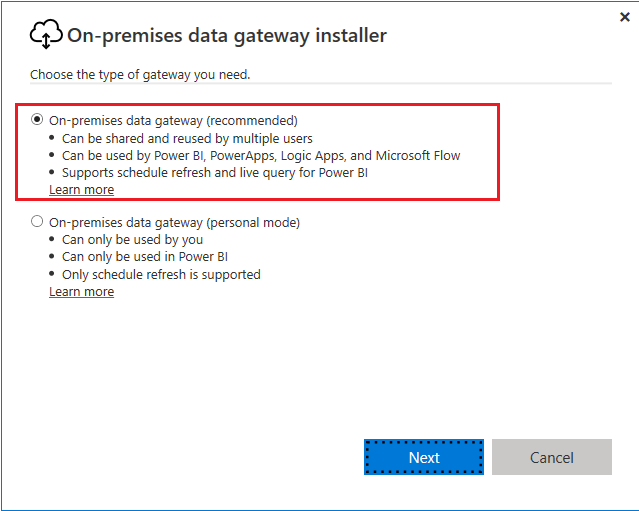 Download and install Power BI Desktop from here (https://powerbi.microsoft.com/en-us/desktop/). In the Get Data screen, type SharePoint. 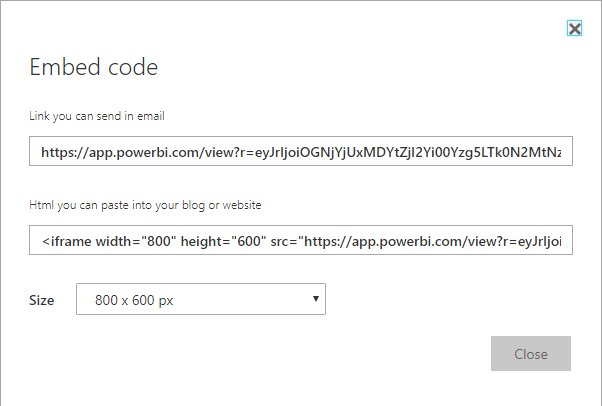 Enter the SharePoint 2019 site url. Click OK. Select the list, click Load. Create a report and publish it. Select the already created workspace to publish the report. Under “My Workspaces”, click Datasets. Select the dataset we created (e.g. Inventory). We will have to install the personal gateway to proceed further. 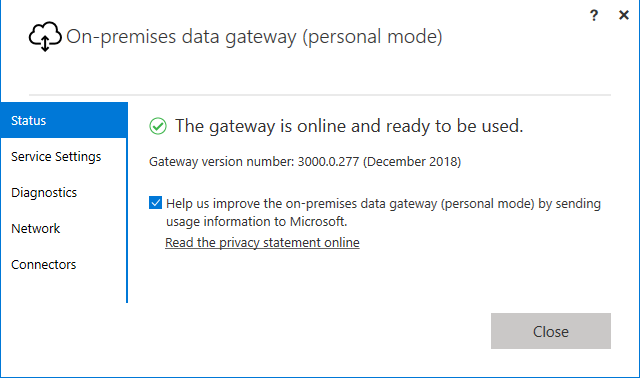 The On-premises data gateway (personal mode) allows individuals to install a gateway on their own computer, and gain access to on-premises data. 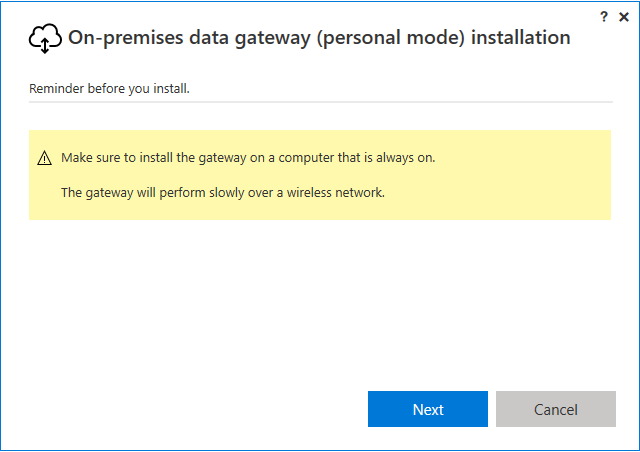 It will download On-premises data gateway (personal mode).exe file. Double click the file to install. Specify the email address. Click “Sign in”. 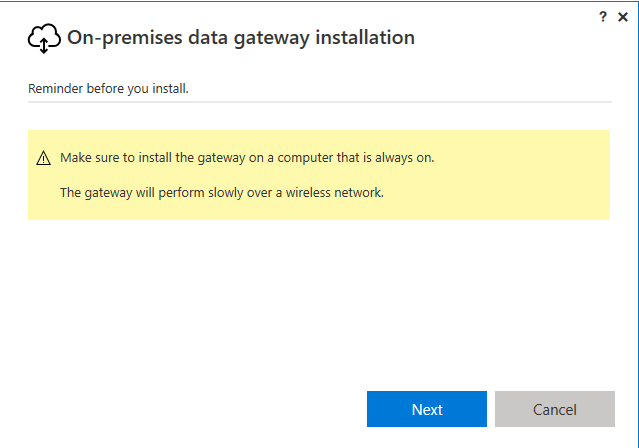 Once installed, the on-premises gateway is ready to use in personal mode. 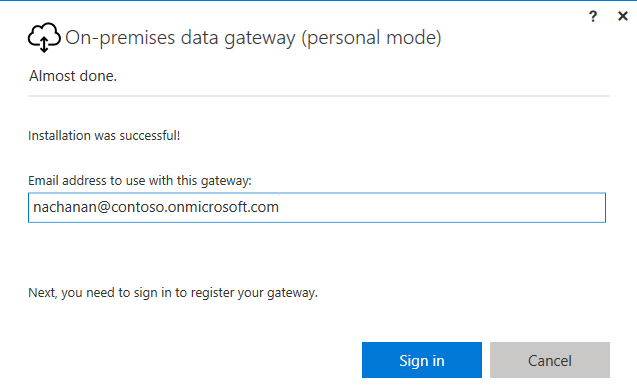 We now have on-premises data gateway as well personal mode gateway. Under “My Workspace”, click Reports. Click the report name we created now. 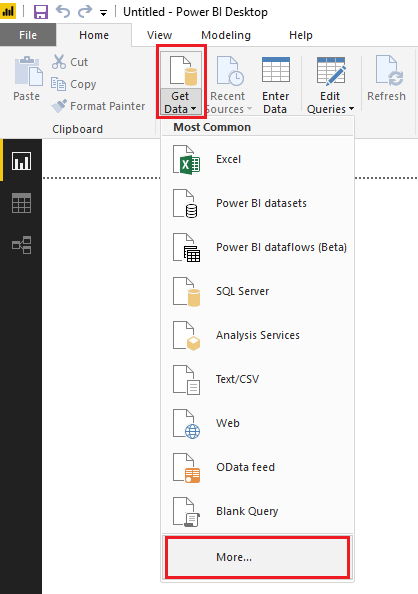 The report can be seen in Power BI. 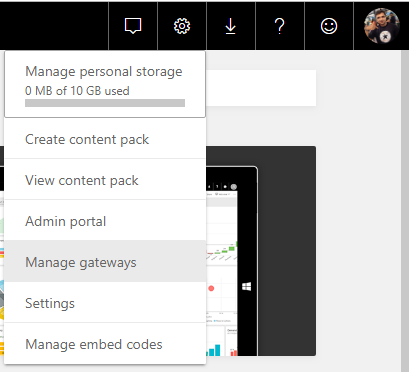 The Power BI Report does not have an option as “Embed in SharePoint” as it does have in SharePoint Online. However we can use “Publish to web” option. Click File > Publish to web. 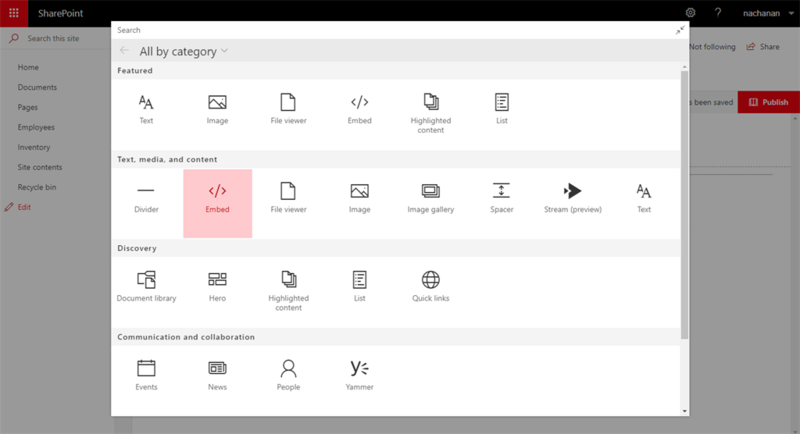 The generated embed code can be used on SharePoint 2019 On-Premises site. 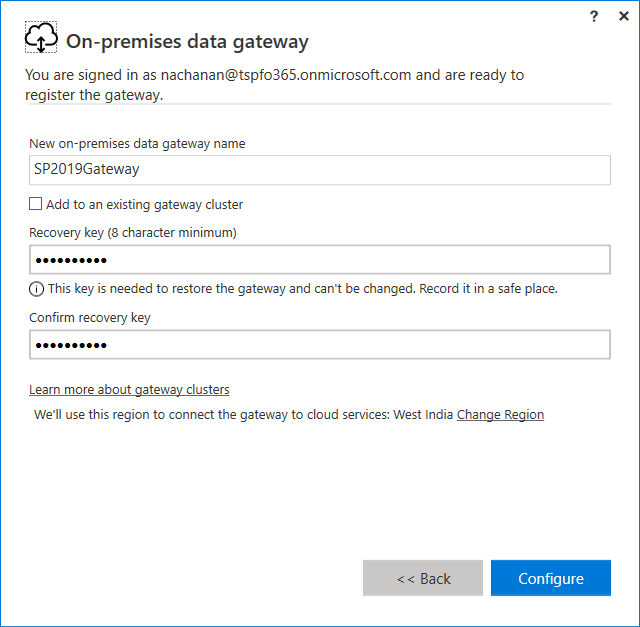 Open SharePoint 2019 on-premises site. Add Embed web part. Copy the embed code to web part property. 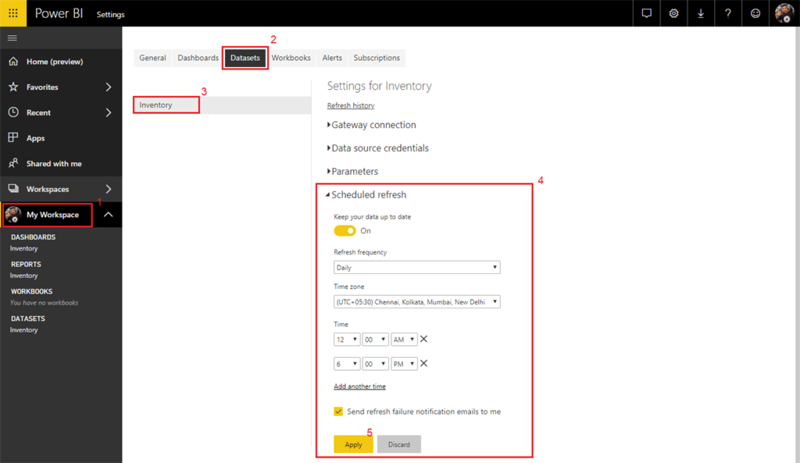 We can define the schedule for refreshing the datasets from SharePoint 2019. Under My workspace, click Data sets. Select the dataset (e.g. Inventory). Under Scheduled refresh, define the refresh schedule. 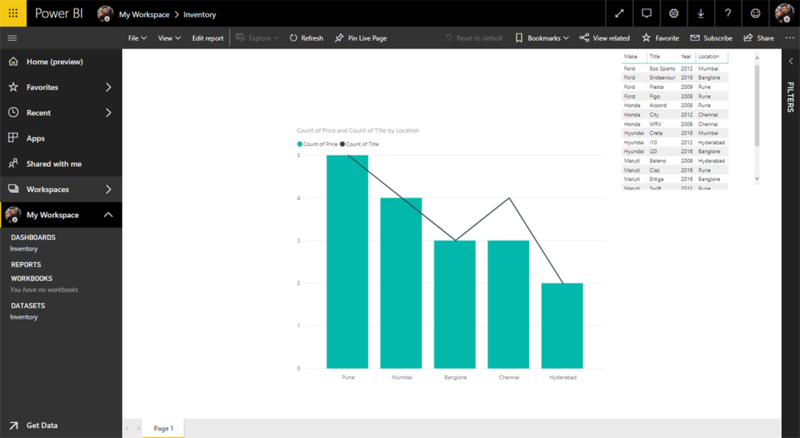 The Power BI reporting cloud feature is available in SharePoint 2019. 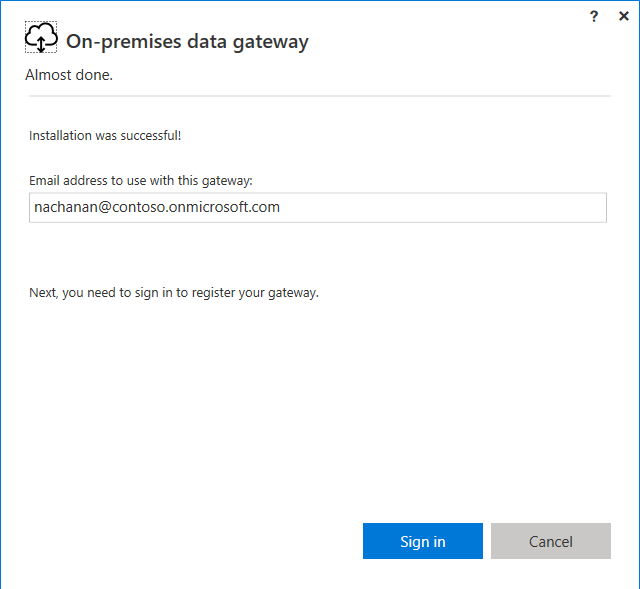 On-premises data gateway helps to connect to on-premises data sources. 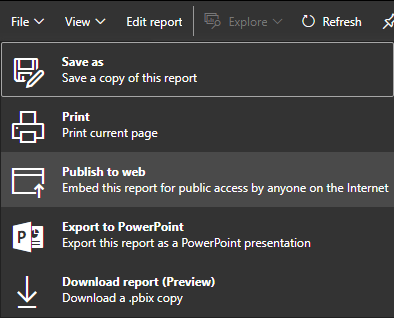 The Power BI Report for on-premises does not have an option “Embed in SharePoint” as it does have in SharePoint Online; however, Power BI reports can be published to web and can be embedded to SharePoint 2019.